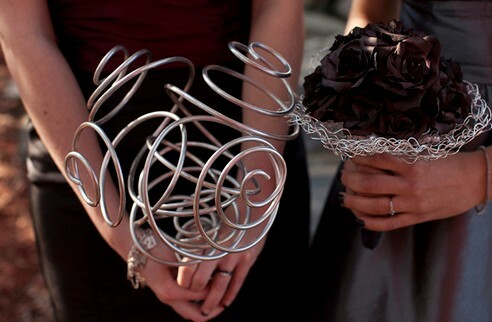 Make a unique bouquet by twisting metal and make it look like a bouquet! See more photos from this wedding on the source. See this idea with pearl beads attached to the metal with wire. See a tutorial for this idea with flowers inside.